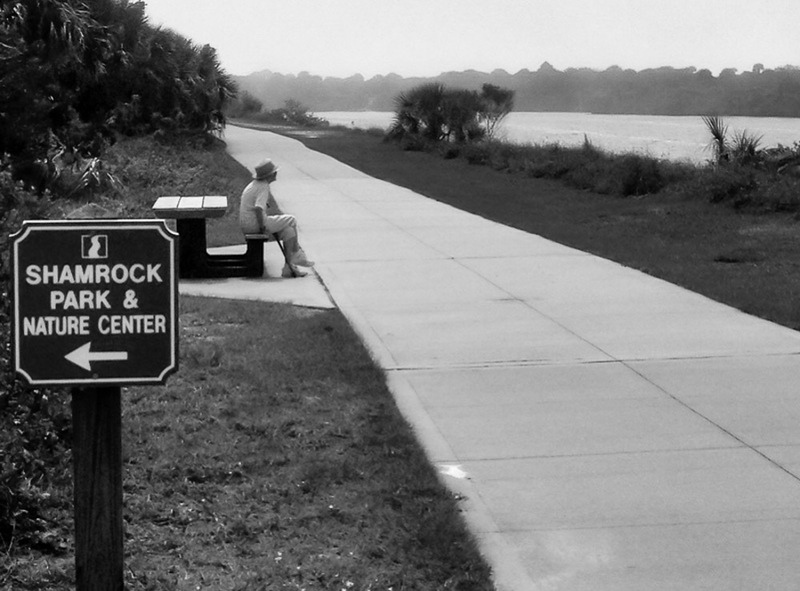 The Venice Waterway Trail is a biking and walking trail that runs along both sides of the Intracoastal Waterway (ICW). The ICW divides the City of Venice into the ISLAND from the MAINLAND. The official name of the trail is the The Venetian Waterway Park. There are several access points on both sides of the ICW. Listed below are locations along the Venice Trail that are preferred by our bike rental customers. 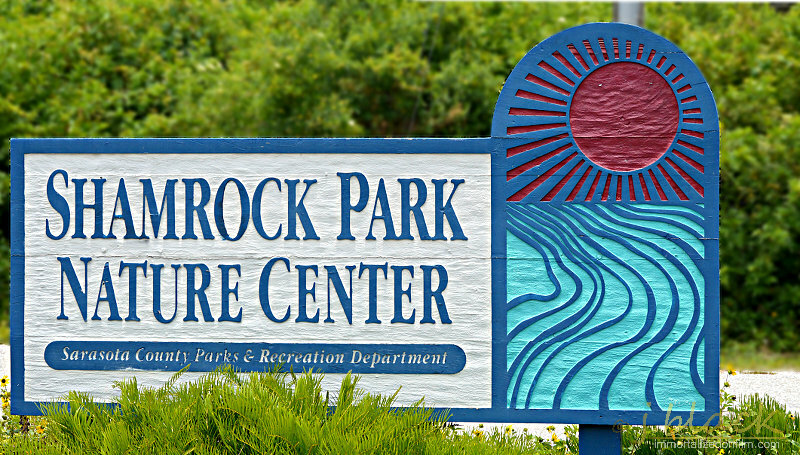 Shamrock Park is at the southern end of The Venice Trail at 3900 Shamrock Drive, Venice Florida. It has a large playground, tennis courts, restrooms, cold-water drinking-fountains, picnic-pavilions, nature trails, and an excellent nature-museum. Plenty of parking is available year-round. The back side of the park property is directly adjacent to the Venice Trail. Once you get your rental bikes follow a short park trail toward the Venice Trail. Signs show the way. This is a convenient place to start because it runs north toward the Historic Venice Train Depot where it connects to The Legacy Trail. From anywhere on the Legacy Trail you can bicycle to Shamrock Park simply by pedaling South. Be aware that this park has daylight operational hours, and that they close the entrance gate at night. If you drive to the park be aware that car can become locked in the park if you do not leave before closing time! Check with Sarasota County for times of operation. We often recommend this starting location to our customers who are coming to the area from points south of Venice. Upon arrival at the entrance to the park drive all the way in and pick a spot anywhere near the big building. Be aware that this park has daylight operational hours, and that they close the entrance gate at night. Your car can become locked in the park if you do not leave before sunset closing-time. Check with Sarasota County for times of operation. Riding from Shamrock Park to The Legacy Trail. Many of our bike rental customers like to extend their ride by including the Venice Trail with The Legacy Trail. Both of these sections are on the mainland-side of the Intracoastal Waterway in Venice. To reach The Legacy Trail from Shamrock Park follow the Venice Trail north for approximately four miles. (The waterway will be on your left as you head north.) The junction point of the two trails is at the Historic Venice Train Station. Likewise, from anywhere on The Legacy Trail you can bicycle to Shamrock Park simply by pedaling south. Halfway between Shamrock Park in the south, and Venice Train Depot at the north end is Circus Bridge. The road that crosses Circus Bridge is US Hiway 41, and it is the southernmost bridge across the Intracoastal Waterway. On the mainland side of Circus Bridge is a Venice Trail access point. We offer free delivery of rental bikes this this location but we don’t really consider this a trail-head, necessarily, because there aren’t any facilities such as restrooms, etc. NOTE: The wide sidewalk of Circus Bridge makes for a safe way to cross between Venice island and the mainland on a bicycle. The is no proper Google Map address for the Venice Trail access point on the south side of the bridge. However, 70 Center Road Venice Florida 34293 will get you to the parking lot. Upon arrival proceed forward toward the canal. There is plenty of parking next to the trail. Over on the island-side of the ICW the south end of the Venice Trail begins at Caspersen Beach and Park. From Caspersen the Venice trail runs north along the Island side of the canal. The trail terminates at the Venice Beautification office near Downtown Venice. While it is certainly possible to ride all around the perimeter of Venice island using a combination of bike trail and low-traffic roads, the Venice Trail itself does not circumnavigate around the island of Venice. 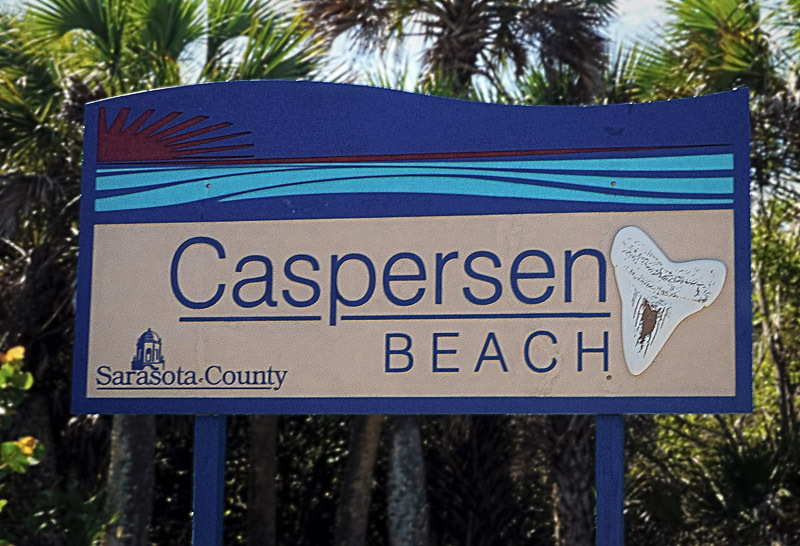 Caspersen Park and Beach is in Sarasota County. The beach parking lots tend to can get crowded during the season. (November through March). But the park itself tends not to. To get to Caspersen Park delivery location on the Venice Trail travel down Harbor Drive to Caspersen Beach at the end of the road. Then turn left and drive away from Caspersen Beach into the park. At the back of the park, near the playground and restrooms is where we deliver rental bikes. Once you are on your bikes a paved path leads to The Venice Waterway Park Trail. If you are getting a rental bike delivered to you at Caspersen Park and Beach you have a number of choices of riding scenarios. A Popular short ride is the Caspersen Loop. Start at our Caspersen Park Delivery Location and head north on the Venice Bike trail. Just before you reach Circus Bridge exit the trail and pedal away from the waterway. You will be on Airport Approach Road near the end of the runway. Use caution in this area as the road is not paved. After a few hundred feet the surface will change over to a asphalt and you’ll be on Airport Road. Airport road has a bike lane. Continue on Airport Road to Harbor Drive, then left, and head south along the Gulf. Pass through from the beach to the park, and you’ll be back at your vehicle. This access point on the Venice Trail one of the easiest to get to by car if you are Venice Island. There are about a dozen parking spots next to the waterway trail. From this spot you can head down to Caspersen Park and Beach at the south end of the island-side trail. Or, you can pedal north from here toward the Venice Area Beautification Inc. offices at the end of the trail. VABI is a significant volunteer organization here in Venice and played a major role in the construction of the Venice Waterway Trail. NOTE: Just a reminder… the Venice Trail only runs along both sides of the Intracoastal canal. It does not circumnavigate around the island as is erroneously believed. This is also one of the fastest delivery locations for us to reach for same-day service. So if you are looking for a spur-of-the-moment adventure take advantage of our rental bike delivery to Venice Trail at Airport Approach Road trail-head. Our bike rental customers like this delivery location especially if they are already on the island. One possible route from here is called The Airport Loop. From here pedal south along the Intracoastal Waterway toward Caspersen Beach and Park. At the south end pass through the park to Caspersen Beach. When you reach Harbor Drive turn right and head north along the dunes next to the Gulf of Mexico. Continue past Sharkey’s, then turn right on Airport Road. You’ll be headed back toward the Airport Approach Road delivery location. This route is basically identical to The Caspersen Loop except that you are starting at Airport Approach, and going around clockwise. A very good access point to the Venice Waterway Trail is from a parking lot under the Venice Avenue Bridge. This island-side spot has to be one of the best kept secrets in town, and we love to deliver rental bikes there. Being so close to our 100+ bike rental fleet allows us to serve you faster, usually within an hour or less. 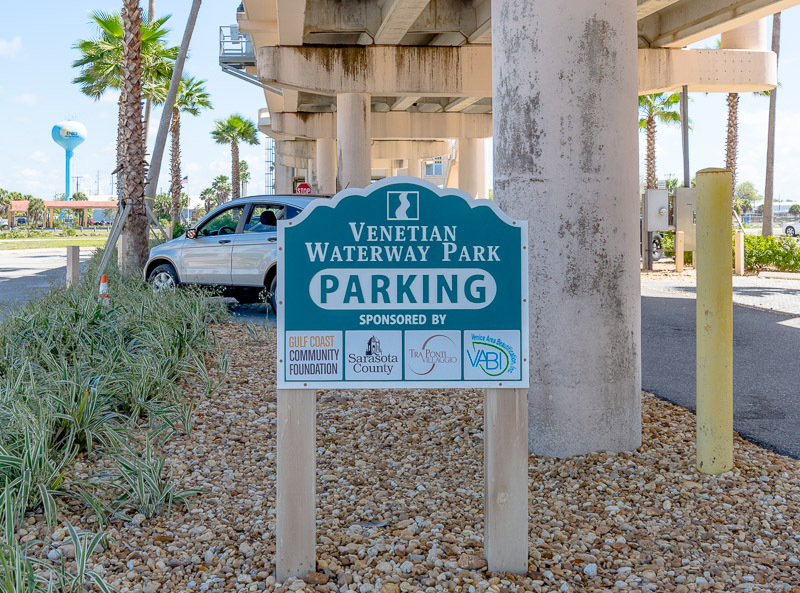 Call us at 941-412-3821 for bike rental delivery to the Venice Trail at Venice Avenue Bridge! Ride north from here and you soon come to the end of the trail. Low-traffic roads then take you into town and toward the beaches. From the beach turn south towards Sharkey’s and down to Caspersen Beach. Pick up the Venice Waterway Trail again to head north back to your car. You rode the Venice Island Loop! If you are already on the island use either Tampa Avenue, or Miami Avenue. If you are on Venice Avenue headed toward the bridge cross US 41. As you come to the bridge stay to the right without crossing over. You’ll be heading toward the canal and will end up right under the bridge. If you have to turn left at US 41 because of the lane that you are in do so, then make a right on Tampa Avenue. It will circle back around and you’ll end up under the Venice Avenue Bridge as well. Directions From off-island using Venice Avenue. If coming from off-island on Venice Avenue cross the bridge and turn right on US 41. Then turn right on Tampa Avenue. You’ll find plenty of parking under the bridge. Pick a spot closer to the canal if possible. This is our bike rental delivery location for this area. Adult bikes are $23 per day, $60 per week. Kids bikes are $18 per day, $40 per week. Free Delivery in our service area!